You can see some photos from the action at RPAYC HERE and HERE. The Alfred's will once again be running our fantastic Holiday program during the School Holidays. The program provides a fun, safe and affordable introduction to sailing and the marine environment. Programs are tailored to age groups and conducted in the safety of Pittwater, under the supervision of fully qualified instructors. Our courses cater for both primary and secondary school ages! How much: $490 Non-members - $390 Members. 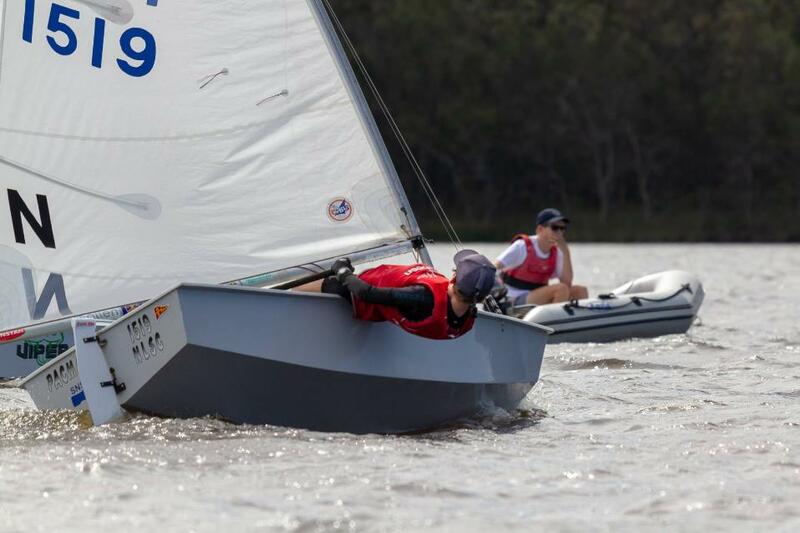 In conjunction with the Southern NSW Sabot Sailing Association, Narrabeen Lakes Sailing Club has hosted the Redback Sails SNSW Sabot Zone Championships on Saturday 23rd and Sunday 24th March 2019. Competitors sailed in 1 up, 2 up and Green fleet, with some great results in each. The organisers and those attending said it was " Wonderful to watch such a happy, friendly fleet of kids at NLSC this weekend. They all showed such camaraderie and sportsmanship." The Narrabeen Lakes Sailing Club are a local sailing club with a big emphasis on 'family sailing' and great community spirit. We sail Herons, Lasers, Sabots, Windsurfers and open class. Australia Day 2019 saw the 183rd year of the Australia Day Regatta, the oldest continuously raced annual regatta in the world (some 14 years ahead of the America’s Cup which claims the oldest international sporting event). With ASC once again serving as the host club for Pittwater (thank you Brett Stapleton and his team), a sunny day saw a great turn out with yachts big and small and a large mixture of centreboard classes including our own Puffins, F11’s, BICS and Spirals, many dressed in flags for the occasion. Avalon winners on the day included Ros Read (Spirals), Michael Ritcher (Yacht Non Spinnaker), James George (Couta Boat Division) and Malcolm Bradford (Yacht Spinnaker) and their crews. Collecting their medals at the Australia Day Regatta Presentation held this week in Town Hall were our young gun sailors Charlie Johnson who comprehensively won the BIC Class in “Fully BIC“ and David Tulk and Flynn Osomanski in the two-handed division with “Waverunner”. Great to see, and with the increasing participation by our young competitors the future of the Regatta seems assured. David and Flynn collected a second medal for the Hunters Hill division, having sailed a charity event at Hunters Hill Sailing Club the following day without realising it qualified as their Australia Day Regatta. The big surprise of the evening was the last trophy awarded – each year since the 1990’s the Australia Day Regatta Committee review the list of winners and selected someone for the perpetual Youth Trophy. Recognising the uniqueness of winning two divisions in the same year, David and Flynn in Waverunner were honoured to be this year’s recipients. This is not the first time Avalon Sailing Club and Waverunner have been presented with the Australia Day Regatta Youth Trophy. In 2012 it was awarded to Sarah and Harry Parker; this has its own special significance for the Tulk family. 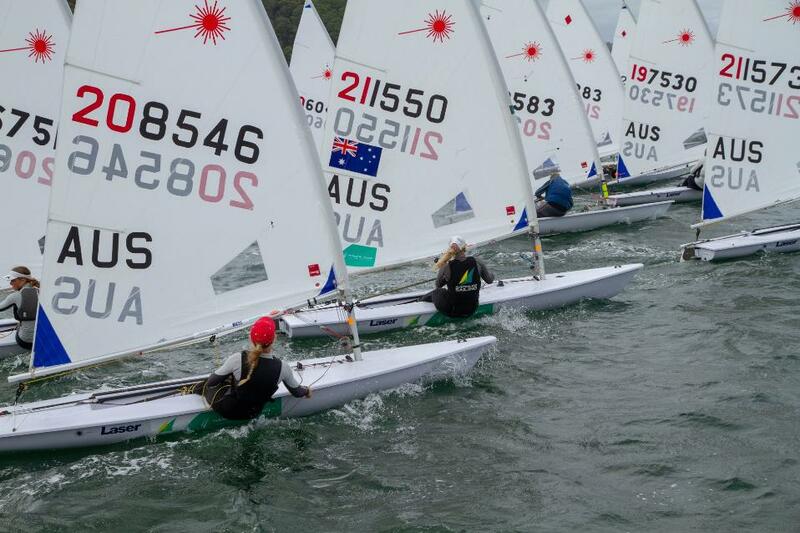 David’s first Flying 11 regatta was at the age of 8 sailing Nationals with Sarah Parker. He has crewed and learned under Harry Parker both in MJs for 2 years and F11s for another 2 seasons. Over this time and particularly in recent years Sarah has been our MJ and Flying 11 Coach. So it is a fitting tribute to the Parker Family to whom we owe so much that Waverunner is the first boat to be awarded this prestigious trophy twice. Go ASC! A big thank you to Hunters Hill Sailing Club for running the Flying 11 Upper Harbour Challenge over two rounds, concluding on March 10th. With tides, ferries, wind shadows and mixed conditions across the two rounds, the Upper Harbour certainly provided a challenge. Entry fees from the 22 competitors representing Hunters Hill, Manly 16s, BYRA, Lane Cove and Avalon were donated to Lane Cove whose club was devastated by fire early in the season. To those Flying 11 sailors who missed it, definitely look out for this event next season, with rounds being planned in early December 2019 and late March 2020. Hunters Hill also has the second round of the F11 States so it would be well worthwhile scoping the scene in December as part of the Upper Harbour Challenge. The program included round-the-islands races, covering Cockatoo, Spectacle and Schnapper Islands which provided for adventurous sailing – it was like Hamilton Race Week for Flying 11s! Waverunner, from Avalon, was sailed by David Tulk and Flynn Osomanski in 20-30 knots, securing equal first with Hunters Hill boat Oasis for Round 1. In Round 2 Quentin Willman filled in for Flynn (broken wrist) and David and Quentin managed to narrowly take out the overall Challenge. A big shout out to Rosie Sewell & Stella Hurley on Oasis of Hunters Hill who were always within a point of Waverunner and had the Challenge in their sights until they unfortunately had an OCS in race 4 which ultimately cost them first place. Aeolus from Manly 16s sailed by Andrew de Monfort and Luca Vasquez Buzzolini finished in a close third, ensuring a mixture of clubs on the podium. The camp is an introduction to sailing for those new to sailing, or for those children already enrolled in learn-to-sail program who would like some additional ‘time-on-the-water’ with coaches to quickly improve their sailing skills. Depending on the wind conditions Avalon Sailing club has access to various types of boats in which to learn. There will be some theory but mostly fun out on the water. Limited to 15 per camp, bookings essential to secure your spot. Cost is $295.00pp for the three days. The penultimate race of the season will be a combined fleet with RPA on Sunday, March 31st. First start 13.30 or thereby. By the look of the volunteer roster there are plenty of volunteers from the regular racers so those who have not been racing lately better come along and race. 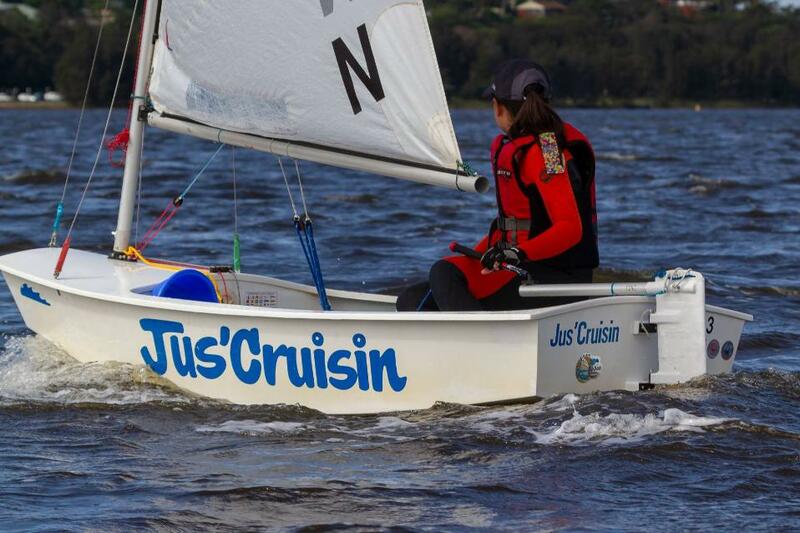 Great to see Tamika sailing last week, by the way and the first race with us of Anthony Irwin in his Laser. The experimental "Silver Fleet ' is going great guns also and next year some hope to join the combined fleet races so as to get practice at dodging other boats! Your committee will be meeting over the weekend to finalise the prizes and awards for the AGM/ Prizegiving on Sunday April 28th 2pm. Be sure to make a note of the date. This year there will be a special Prizegiving section for the Juniors. All Juniors are welcome remember, and the Buffet Tea is spectacular; cakes, sandwiches, sweet things, chips and dips, wonderful and you can go back for more !! Another busy weekend for the Juniors. Learn to sail ended up with a very light wind day this morning. As a result we broke into our different groups and ran through a number of drills. We had a reasonable group of juniors waiting for the wind for Green Fleet. A couple more juniors ventured out for the Silver Fleet races where the wind kicked in from the south at 12-15 knots just prior to the first race so after a slight delay after resetting the course we got three short races away. Its great to see some of our juniors build their confidence in the Silver Fleet racing, so that hopefully next season they can step-up to the combined afternoon fleet representing BYRA. If you have any interest in the above, please contact the Commodore, Rob Warnes, and he will put you in contact with the owners. Don't forget to organise yourself for the Portuguese Beach outing. This year we are inviting those Juniors from the Learn to Sail who are not members to attend. There will be transport to the Beach from 10.45am ( The "Don") at the club, Junior, (and Senior)sailors can sail there), bring your own victuals. It is a great day with BYRA competing with Avalon Sailing Club during the beach games.